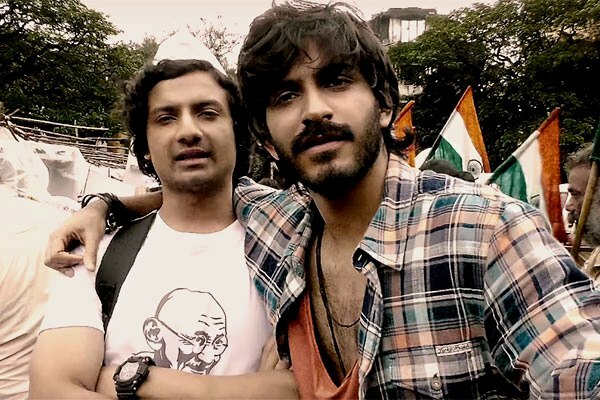 The 2011 Indian anti-corruption movement galvanized the Indian youth unlike any other movement in post-independence India. The youth had had enough and finally wanted to see the end of the deep-seated corruption that devoid the people from laying the foundation blocks of the India of their dreams. Alas, the movement died a slow death, failing to bring about any major change! But, when everybody else seemed to give up a group of Mumbai-based youngsters decide to take up vigilantism as the last resort to fight corruption. That’s the premise of Vikramaditya Motwane’s latest offering Bhavesh Joshi. 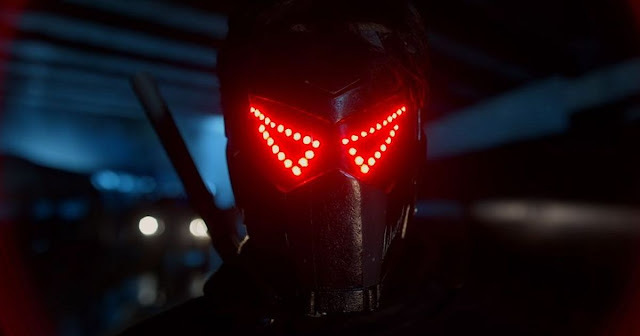 Co-written by Anurag Kashyap, Abhay Koranne, and Motwane himself, Bhavesh Joshi is produced by Phantom films and stars Harshvardan Kapoor and Priyanshu Painyuli in central roles. The first forty minutes of Bhavesh Joshi set up the movie really well. Not only does the setup sound promising but also the mood feels just right for a film that seems inspired by graphic novels. Deep into the first half one starts hoping for a present-day Rang De Basanti but then the film suddenly begins to self-destruct around the halfway point. When such a thing happens as a viewer you are bound to feel heart-broken and dejected; you start wondering what really went wrong. Now, it can be said with some certainty that the film majorly suffers because of poor plotting and weak characterization. Imagine a character that is an ace coder and can hack into almost anything. But he turns out to be even better when it comes to setting up electronic circuitry. However, it is not electronics but mechanical engineering that is his truly specialization as one learns when he builds a superbike for himself from near scratch. But there is one thing that he lacks that is of utmost importance to take up serious vigilantism: martial arts training. So a teacher reluctantly trains him. All we see is acrobatics and various forms of physical exercises. There is no talk of mental focus or emotional control over the physical realm that’s the human body. It certainly looks a bit disconcerting to see martial arts being reduced to a merely physical level. The conflict at the heart of Bhavesh Joshi is water corruption. The influence of Roman Polanski’s Chinatown is pretty obvious. The manner in which the lead character wears a bandage on his nose and how a police officer tortures him while holding on to his injured nose makes the Chinatown influence unmistakable. It is a pity that these influences fail to add any cinematic value to the film. Harshvardhan Kapoor, at this point in his career, doesn’t seem like the ideal choice to play the lead character in an action film and it shows throughout Bhavesh Joshi. As a matter of fact, Priyanshu Painyuli, who plays his revolutionary friend, would have actually been a much better choice to play the film’s lead character. It's a really pity that it wasn’t the case. In terms of action choreography and stunts the film is quite solid but the predictable plot and unnecessarily slow pacing (at 155 minutes it is way too long) ruins the film completely. For the last one hour the film seems to be really struggling to find some sort of a closure that comes at least thirty minutes too late. However, the biggest disappointment of the film, however, is Vikramaditya Motwane's uninspired direction which makes an average screenplay look rather pedestrian. The end result is a self-indulgent superhero flick that lacks both spine and purpose.